Something squirrely has been going on over at Kentucky Fried Chicken. Last spring, the company trotted out Colonel Sanders as part of a 75th anniversary brand refresh, by which we mean going back to its old branding. 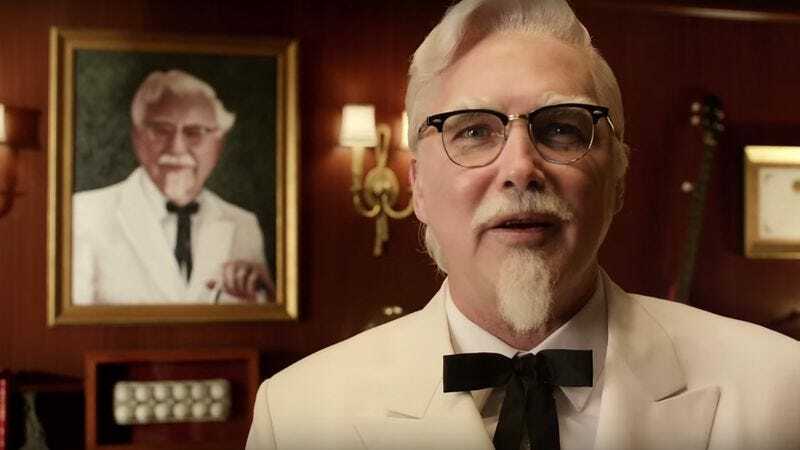 Seeing as how the original camera-friendly founder Colonel Sanders was dead, KFC tapped Darrell Hammond (a man with experience replacing deceased pop-culture touchstones) to impersonate the Southern gentlemen for a series of ads.